NVPH 61b and 61c cancelled, but this cannot be checked/postal used, therefore, counted as MH. 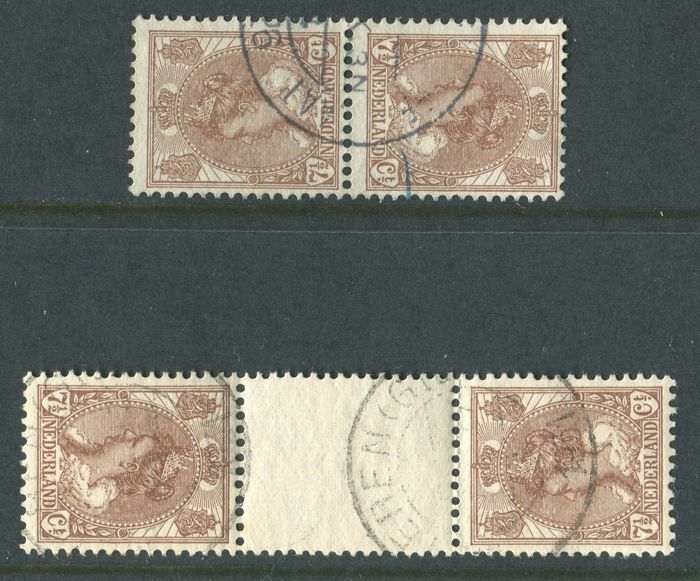 NVPH 61c with hinge remains and right hand side folded on the perforation. Catalogue value: €540 (NVPH 2017).